File Manager is used for managing and uploading new files to GIS Cloud. Create new file – file name can’t contain ‘/’ or ‘\’ characters. Edit text file – edit text file. Edit structure – add, remove layer attributes. At the moment only ESRI Shapefile is supported. Unzip archive – if the uploaded folder is zipped, this option extracts files. Note that only .zip file is supported. Download selected file(s) – download files locally on your PC. Delete – delete selected file/folder. This operation can’t be undone. 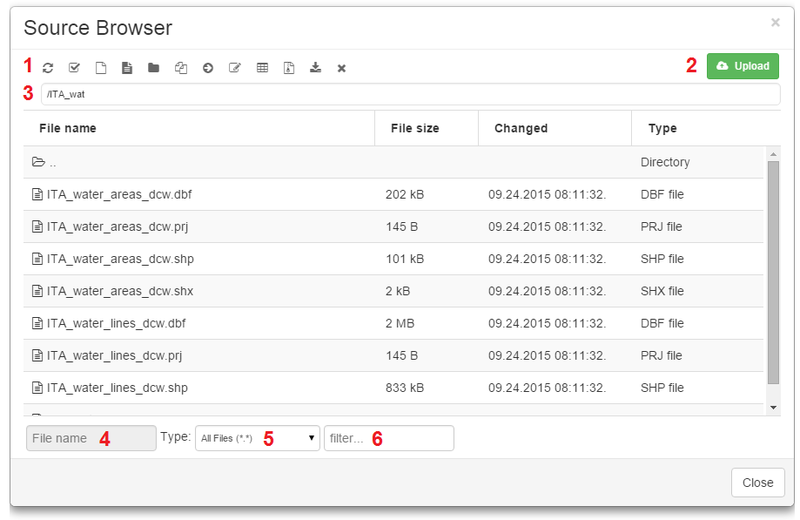 More about working with the File Manager can be found in the Import and Export Data section. Note: to perform geometry or attributes editing, layer has to be imported from the File Manager to the Database.